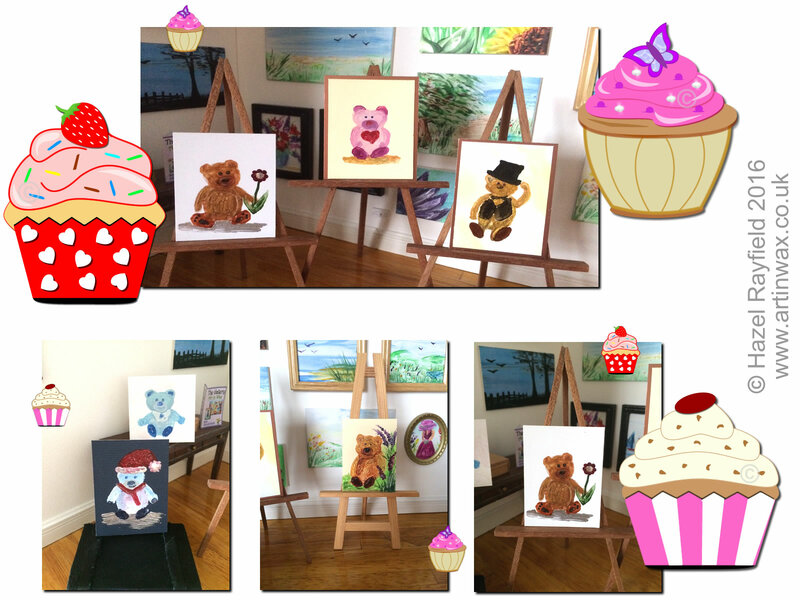 A very special bear ……. 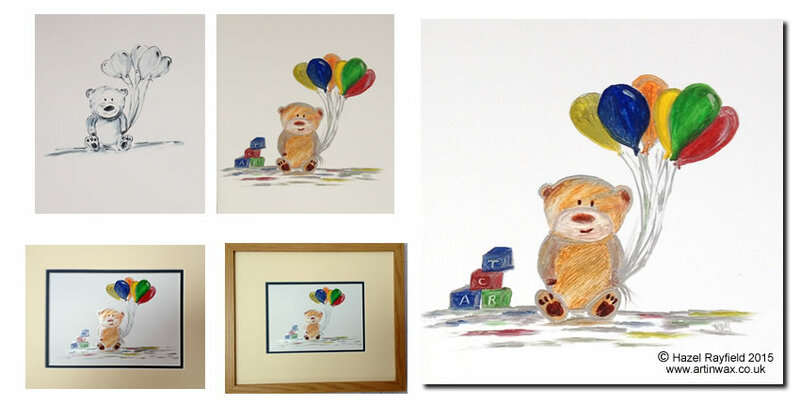 I thought it might be fun to share this project on my blog, I painted this picture recently for a gift for a family member, it’s not a subject I paint often but was a fun challenge, starting from a drawing in my sketch pad to a full size painting in hot wax. The final piece is shown her framed to 10 x 12 inches. Painting new subjects and Experimenting with new ideas. The best place to see whats new is my facebook page, where I recently celebrated 500 likes. I post work in progress pictures, my experiments with new ideas and styles of painting and this is also the place to find out in real time what’s new generally with me and at Art in Wax, what dollshouse fairs I am attending, what special offers I am doing etc. etc.